Emby Server is a reliable media server that allows communication and data transfer between your computer and DLNA-compliant devices connected to the same network. Thanks to this application it is possible to stream multimedia content to a supporting device equipped with a dedicated client such as Kodi, Media Browser Classic or Media Browser Theater. 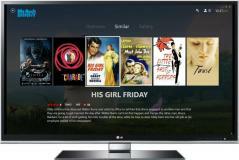 Also, media clients and plugins are provided by the developers for Samsung Smart TVs, Roku and Media Portal. On top of that there are mobile apps available for Android, iOS and Windows Phone. Emby Server makes it easy to organize your multimedia collection, monitor active connections plus it automates file transfers and transcoding tasks so the files are always compatible with the target device.